THE CRUSADER is fit for a warrior's canine. 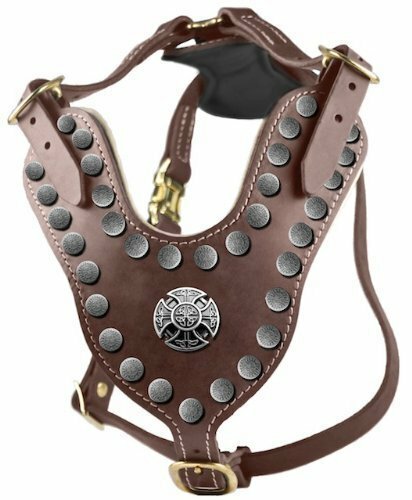 This regal harness is accentuated with Nickel and a hammered-Antique Large emblem. Elegant Craftsmanship.